"Begin a never ending romance with your hair! 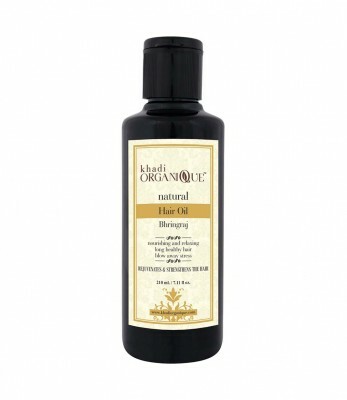 Sweet aromatic herbal oil with lustrous green color is reminiscent of purity of nature. A unique blend of exotic herbs and oils, from Khadi Organique, its formula has been derived from the secret wisdom hidden in the Indian scriptures. The miraculous herb Bhringraj, or the Lord of Long Healthy Hair, being one of the chief ingredients rejuvenates and strengthens the hair from within. Nourishing and relaxing, it is an amazing solution to blow away everyday stress and worries. "